Breckinridge Park Animal Hospital is not just another veterinary clinic. 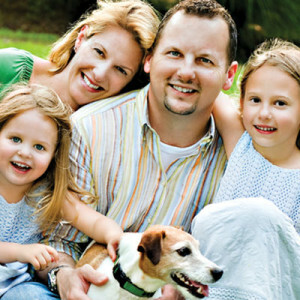 It is a family-run business, owned by two caring Veterinarians who understand the importance of your family’s pets. Dr. Scott and Dr. Erica attend numerous continuing education seminars each year to ensure they keep abreast of the latest advancements in veterinary medicine. When not working, the doctors enjoy travel, as well as sports, outdoor activities and tending to their ranch. The Erickson’s share their ranch with their daughter’s Avery and Drew, in addition to a horse, donkey, several cattle, chickens and two dogs, Remi and Jaxx. Dr. Layne Sager earned her Doctor of Veterinary Medicine from Texas A&M University in 2007. The first three years of her career were spent as an associate at a small animal practice in McKinney, TX. She then took up the challenge of emergency medicine at the Emergency Animal Hospital of Collin County where she honed her skills in a fast-paced environment. During her time with the emergency clinic she began performing relief work in the North Dallas area. Breckinridge Park Animal Hospital become one of Dr. Sager’s regularly scheduled jobs as a relief veterinarian. She loves the clients, pets and staff so much at BPAH that she decided to accept a full time associate position! Dr. Sager is a member of the American Veterinary Medical Association and the Collin County Veterinary Medical Association. She enjoys several areas of practice including preventative medicine, dermatology and cardiology. She is also one of BPAH’s resident dachshund lovers! 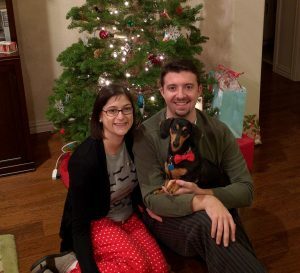 In her free time Dr. Sager enjoys traveling, cooking, learning about wine and spending time with her husband, Nathan and their miniature dachshund, Mayer. Yes, his namesake is John Mayer, one of Dr. Sager’s favorite artist! Dr. Cinthia Peeples is a native of Sao Paulo, Brazil where she earned her Veterinary Medicine degree in 2006 from Sao Paulo University. After graduating, she completed her residency program in small animal surgery also from Sao Paulo University. Once her residency was completed, Dr. Peeples spent the next 7 years in Brazil caring for small animals in both emergency and traditional clinic environments. In 2013 she met her husband, Austin, while on vacation in the Dominican Republic. In 2014, Cinthia made the move to America and married Austin a few months after! 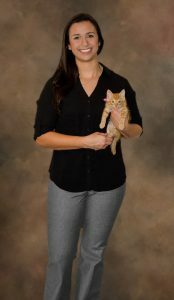 Once married, Dr. Peeples was able to validate her Brazilian veterinary degree in the US after only a year! Dr. Peeples has a passion for ultrasonography, preventative care, surgery, and internal medicine. 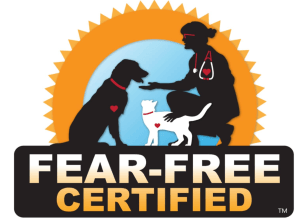 She is also Fear Free Certified! In her spare time she enjoys traveling, samba dancing, and eating sushi! The Peeples’ have 2 cats named Wild Thing and Poor Thing.